Hiltibidal, Scarlet. The Weekly Prayer Project: A Challenge to Journal, Pray, Reflect, and Connect with God. Grand Rapids, MI: Zondervan Publishing. 2017. Encouraging readers to be more intentional in their connections with God, author Scarlet Hiltibidal presents a personal journal filled with scripture, Bible verses, writing prompts and pages of lined paper for journaling thoughts, ideas, prayers, and dreams. Each two-page layout is broken into weekly topics under a broader subject. Encased in a hard cover book, this prayer project includes a presentation page, soft illustrations, reflection stories and a page marking ribbon. 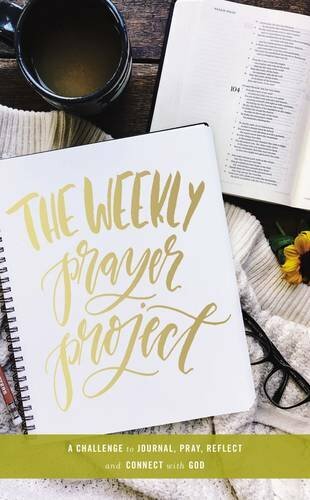 Designed for the busy person who still yearns to spend time with God, The Weekly Prayer Project allows for the project to begin at any time, topics to be rearranged, and thoughtful, heartfelt writing to take place. Simple yet providing a deeper connection if desired, this book truly meets the reader where they are in faith. Based on prayers, each corresponding scripture verse and writing idea encourages personal consideration. Though not necessarily a devotional, this book touches more on prayers which could be easily incorporated into devotion time. Perfect as a gift, ministry or even a Bible study, this is a project I intend to complete. Keels, Nadine. World of the Innocent. CreateSpace Publishing. 2017. Becoming a young woman and realizing her own inward growth, Jhoi (pronounced JOY) has never considered Marcus more than just a friend. As a poetic artist, Jhoi has always been just friends with the somewhat-strange yet admired Marcus but something seems to be changing. As she explores her conflicting thoughts and feelings in this well-developed novella, Jhoi slowly, deeply and carefully makes the transition from childhood to young adult. Built on trust, morals and respect, the developing relationship between Jhoi and Marcus is endearing, heartening, and innocent. As a favorite author of mine, I know author Nadine Keels will deliver a well-written, character-deep, word-conscious piece. 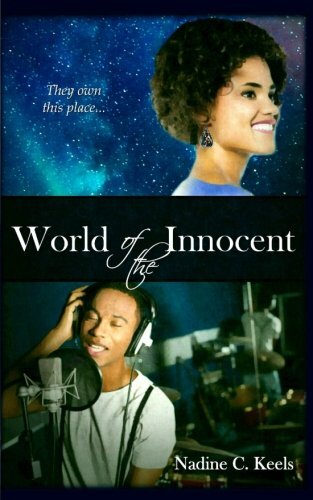 Her newest release, World of the Innocent, is no exception. Feeling the pull from the first few pages already, I enjoyed the style and voice with which this story was written. Though perhaps more a contemporary young adult book, I enjoyed it none-the-less. 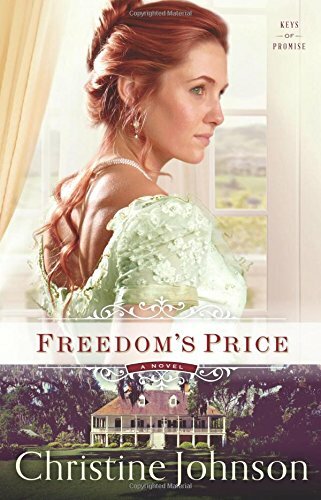 With a respectful message, a morally strong relationship and a durable faith, I wouldn’t hesitate to share nor recommend this sweet novella. Richards-Ross, Sanya. Saving Grace: What The Quarter Mile Has Taught Me About God And Life. Grand Rapids, MI: Zondervan. 2017. Opening the book and not closing it until it was finished, I thoroughly enjoyed the journey. Like having a conversation with Sanya herself, the book just flowed. Truly appreciating the closing of each chapter with one of the 4-Ps, not only did I listen to the encouraging words for life but also have incorporated some of the thoughts into my own running mantra. 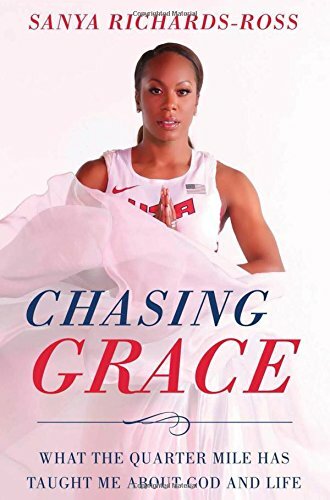 As a true Christian model, Sanya Richards-Ross is blessed yet humbly and enthusiastically tells her story. Definitely a book I will return to in snippets for self-reminders…excellent! Kakalios, James. The Physics of Everyday Things: The Extraordinary Science Behind an Ordinary Day. USA: Crown Publishing. 2017. Organizing the world into everyday useful, functional and interesting objects, psychics professor and author James Kakalios shares how these modern items work. 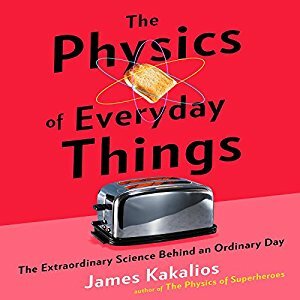 Explaining the simple science behind such things as scanners, thermometers, microwave ovens, engines, batteries and others in an understandable manner, The Physics of Everyday Things doesn’t overlook the details. Coupled with a few relevant illustrations and examples of use, each section is split into everyday things used in certain actions (going to the airport, driving into the city, beginning your day, giving a business presentation). Feek, Rory. 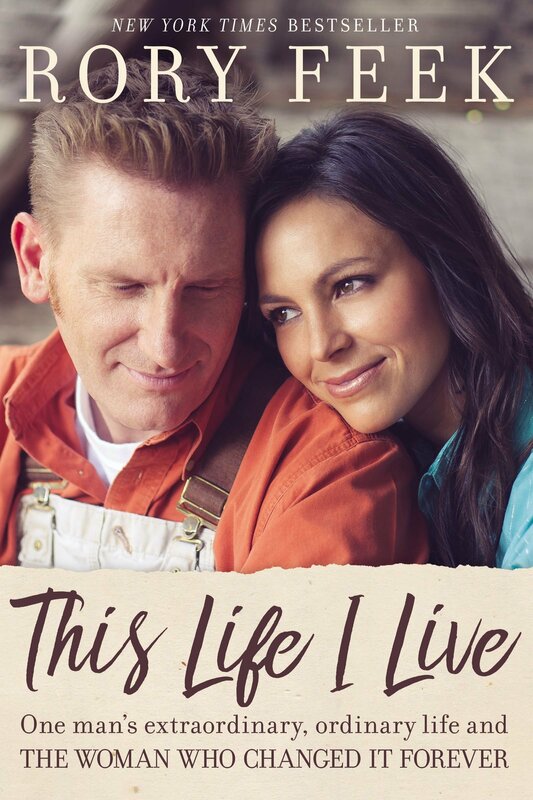 This Life I Live: One Man’s Extraordinary, Ordinary Life and the Woman Who Changed It Forever. Nashville, TN: Thomas Nelson Publishing. 2017. Alexander, Johnnie. What Hope Remembers: Misty Willow Series- Book 3. Grand Rapids, MI: Revell Publishing. 2017. Returning home to her childhood community after a heartbreaking situation, Amy Somers isn’t exactly proud of the person she has recently become. Not having stayed especially close to her family, Amy can only wonder how she will be accepted back. When her high-school sweetheart, Gabe Kendall, rides into town, memories surround her even as she realizes Gabe may have some history due to personal choices as well. Romance, forgiveness, family and sweetness combine with a dash of country charm in the newest Misty Willow series novel by author Johnnie Alexander. Having read one of the previous books in this series, I had hoped to revisit some of the characters yet again. Though this novel works as a stand-alone, it works even better when read with the series. 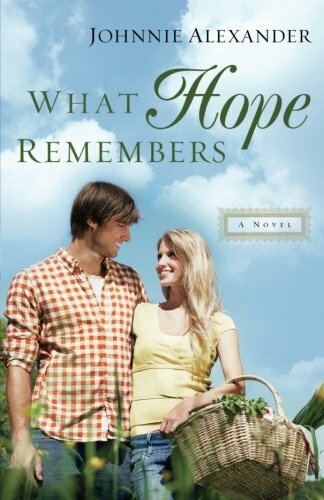 A strong contemporary writer with just enough pizazz in her storyline to make it enjoyable, What Hopes Remembers is full of gentleness, understanding, love and surprises. Taking place on the ranch of Whisper Lane Stables is an added delight for horse lovers. Wonderful addition to a well-written series.